From the My Little Pony: The Movie range this pony figure is really impressive standing much taller than the other ponies. She can stand unaided and if you press her sun shaped cutie mark she light up and change colour. 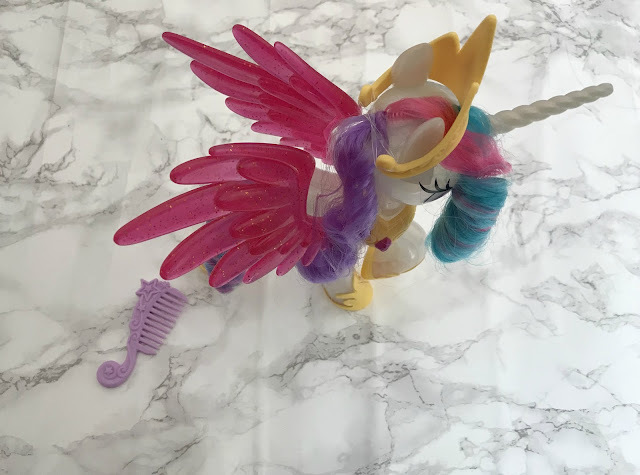 She also has pink glittery wings, comes with a royal tiara and necklace and a brush to brush her beautiful rainbow coloured mane. 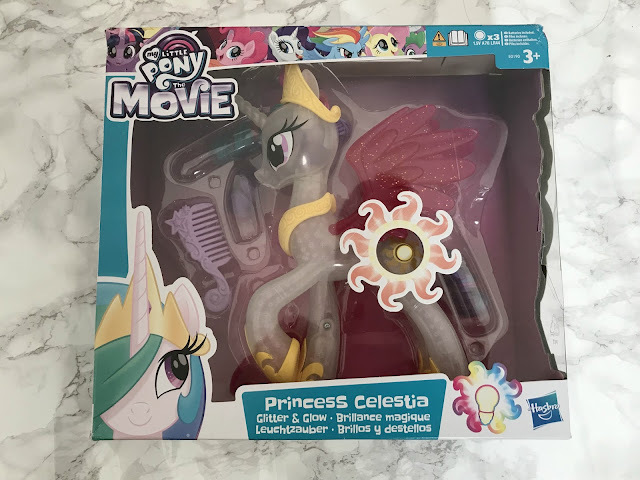 Batteries are included so children can start playing with Princess Celestia as soon as she is out of the box. Sophia has had so much fun playing with her in her Canterlot & Seaquestrian castle with the other ponies and reenacting scenes from the My Little Pony Movie (which she watches all of the time at the moment). 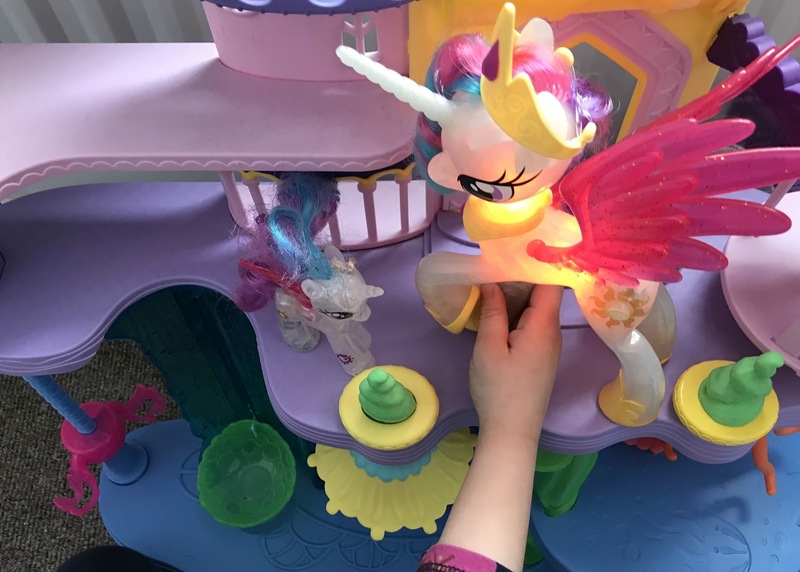 The Glitter and Glow Princess Celestia pony is a bit more expensive than a regular pony at around the £20 mark, however, she is about three times the size of the regular ones. Sophia loves that she lights up and she is always making her glow and rescue the other ponies from danger. If you have a My Little Pony fan then I am sure that they will love adding this Glitter and Glow Princess Celestia to their collection. You can buy the My Little Pony Glitter and Glow Princess Celestia from all leading toy retailers such as Smyths, Argos, Tesco etc for around £20.